As I was approaching my last couple of years of a 24 year career in the army, I started to think about what my future would hold and what direction I was going to take. I knew from early on that the preference would be to work for myself but wasn’t sure as to which area. Then, from Cyprus I went home on a two week period where I had a few things to do around my house. One of them was to get a Rim Cylinder lock changed as it was falling apart. Before I called someone in, I decided to take it off the door strip it down and fix it myself, which I managed to do successfully. That gave me the idea to look at locksmithing. I did some background research in the usual way, and even though I was never going to be the only locksmith in my area, I knew that with a military ethos and drive, I could offer something a little different combined with a ‘can do’ attitude. At this point I began to look at several training providers from Hereford to the North East. As it happened, I was looking in the resettlement magazine of the Army and I saw an advertisement of 1st Call lockouts. At the time I was posted into Selly Oak Hospital as a Military Liaison Officer. I had accommodation here so there was no additional cost to be had, and actually, they offered more than everyone else had on offer. What I found important was the fact you received a full package using tools you were going to take away with you. No other training provider offered that. They only offered the course but no tools to get you going, but 1st Call Lockouts go further with their courses. Along with that, you become a member of a Nationally Affiliated Locksmith Group (National Network of Approved Locksmiths - NNAL) which gives you a photo identity card to show at jobs and gives you credibility to what you are doing. Again, no-one else did that apart from the MLA. Their administrator was very helpful and friendly when I telephoned for further information which again I find important. The training is second to none. I can say that as I use all techniques learnt on the course successfully as a trading locksmith. The staff are very friendly and helpful right from the boss through the administrators, instructors and their trade counter, which is also very handy to have all in one centre. You can shop online for stock and tools and pop in for further advice if you need it and nothing is too much trouble for the 1st Call Lockout team. I think that combining the training centre with a Trade Counter is a master stroke as it gives a reason to keep in touch and form a bond. As time goes by, you will certainly need to advance your tools and buy more stock. It always seems easier by going to people you know and people who trained you. I did my course 5 years ago and to this day, keep in touch with the team at 1st Call Lockouts, regularly stock through their Trade Counter and always pop into the centre for a catch up in general and ask advice when I travel from South Wales to North Wales or Lichfield. Keeping the bond is priceless for many reasons and is important to invest in yourself in the right way when starting out and growing a business and part of that is having the right people on your side. I am confident in 1st Call Lockouts and over the last few years their advice through their comprehensive experience has been accurate and actually, wouldn’t use anyone else to ask ‘the question’ as I know I am going to get good advice from them. The experience I had with the training was fantastic. The instructors made you feel comfortable and relaxed throughout the course and nothing was too much trouble and are very patient. 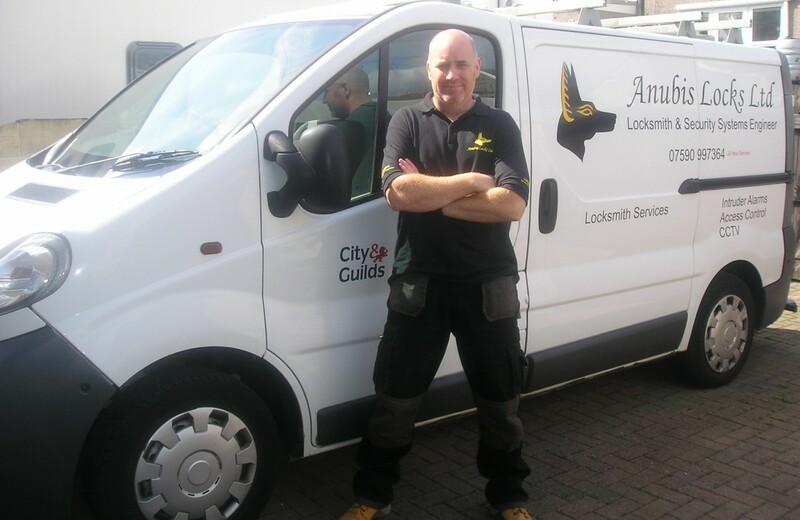 Jason is a top class locksmith and instructor who passes on his knowledge and experience in a fantastic way. I would 100% recommend 1st Call Lockouts as a training provider. They offer more than just training. The tools you use on the course are yours to take away with you (others do not give you that). It’s just enough to get you going and with the Trade Counter, you can go in there and bolster your tool box before you leave the course with the correct advice given to you. They sell you the right tools… not just sell tools to you. No matter what part of the country you are in, you can still buy online and get a swift delivery. Being part of an affiliated body is invaluable and gives you credibility. Keep the link you make with them as you will need them at some stage for guidance and they are only too happy to help, at every level. Once my training was completed, I started trading straight away. The only person stopping you from succeeding is yourself. Starting out on your own isn’t easy but with the right drive and the right guidance you will get there. Again, 1st Call Lockouts give you advice on that side of life too. In the future, my aspiration is to open up a small base to work from rather than just a van. It will probably be a trade counter with working locksmiths running it. I have a vision to grow my business and be successful in a small way. It’s a lot of hard work but the rewards for seeing something you have built yourself is second to none. Today, I work from home and have links with many letting and estate agents in my local area and I am used regularly. I have just completed a 9 week phase 1 at Cardiff University upgrading their locks to a door entry system and Phase 2 and 3 over the next two summers is looking good too. It’s all about reputation and delivering what you say you will in the correct manner… every time.